Although the company didn’t cite a specific reason for the change, it seems obvious that this is another move to push people into buying the latest and greatest of the company’s offerings. Unfortunately for them, the announcement has been met with more than a little hostility, and for good reason. 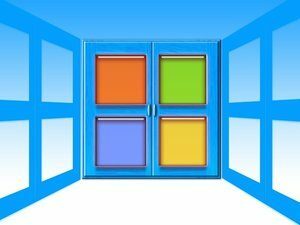 Consider that the company has pledged to continue to support Windows 7 until 2020, and Windows 8.1 (and variants) until 2023. Given that we’re still quite some distance from those EOL dates, closing an important avenue of support for a product the company is still ostensibly supporting seems a bit premature. Nonetheless, there’s no indication at this time that the company has plans to extend the forum support for any of these products beyond July. In some instances, this won’t prove to be problematic. Few people still use Internet Explorer 10 as anything more than a curiosity, and Zune was never especially popular, so the loss of those forums isn’t likely to cause much backlash. However, in the case of Windows 7 and 8.1, not only has the company pledged support for years to come, but those products are still actively used by a significant minority around the world, and those users aren’t thrilled with the recent announcement. In any case, given that the company is unlikely to change course, this is all the more reason to make upgrading a priority if you’re still using any of the products mentioned above.